The Handel Singing Competition was inaugurated as part of the London Handel Festival in 2002, and counts several well-known singers amongst the past finalists, if not always amongst the past winners. Several former finalists have become regular performers at subsequent festival events, and this concert was one such. It featured four past finalists, three from 2006/7 and one far more recently, from 2016: two first prize winners, one 2nd prize winner and two winners of the audience prize. Handel was known to have encouraged younger singers, and the title of ‘Mr Handel’s Scholars’ refers to the name by which his young proteges were known. Each half opened with an overture, following by a range of extracts from Handel operas and oratorios, several of which are standard fare at singing competitions. Like London busses, you can wait for ages to hear a pasticcio opera, and then three come along at once. 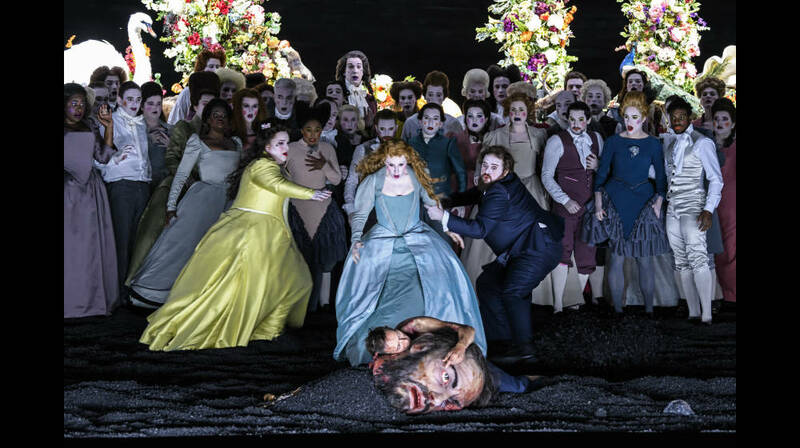 After Fabio Biondi’s reconstruction of Vivaldi’s compilation L’Oracolo in Messenia at The Barbican and Opera Settecento’s excellent concert performance of Handel’s 1732 compilation opera Catone in Utica (both reviewed below), along came Handel’s 1739 Giove in Argo. It was considered lost until some arias were discovered a few years ago. John H Roberts has reconstructed and edited the score (for Bärenreiter), adding missing recitatives. After recent outings in Göttingen, Hanover and Halle, this was the first UK performance since 1739. It was given in the intimate space of the Britten Theatre with singers from the RCM International Opera School as part of the London Handel Festival.